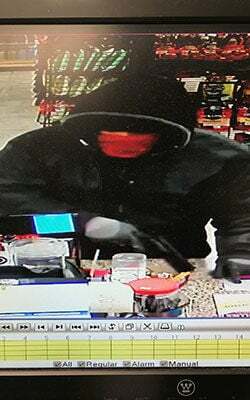 Janesville police are looking for two men who are suspected of robbing an east-side gas station late Tuesday night. Janesville police are looking for this man and one other in connection with a gas station robbery late Tuesday night. 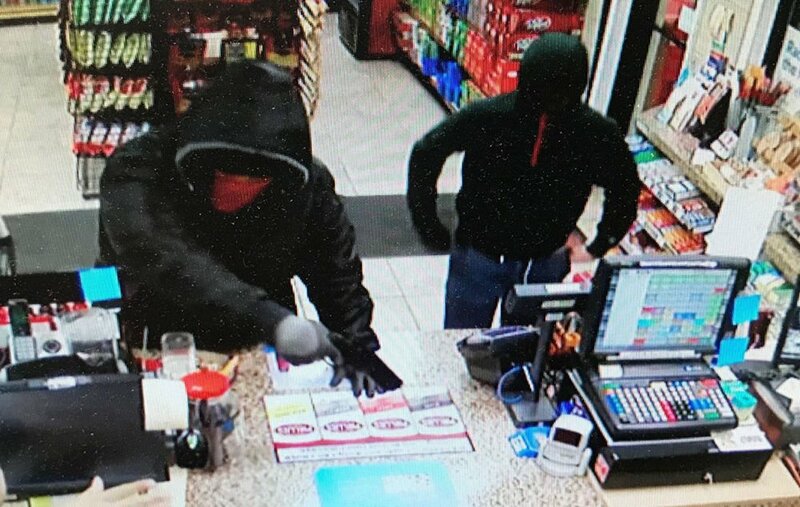 Janesville police are looking for two men who are suspected in an armed robbery of an east-side gas station late Tuesday night, according to a police crime alert. The men entered the Shore Exxon, 1905 E. Milwaukee St., and one displayed a handgun and demanded money from the clerk, according to witnesses and surveillance cameras. Police responded at 10:57 p.m., but the robbers had fled northwest toward Richards Court with an undisclosed amount of cash, according to the alert. The armed man is described as having light skin, possibly African-American or Hispanic, 6 feet tall and weighing 240 pounds. He was last seen wearing a black winter coat with a light gray, lined hood, green beanie hat, a red bandanna covering his nose and mouth, gray work gloves, dark pants and black work boots. The second man is described as possibly white or Hispanic, about 5 feet, 10 inches tall, slender build and weighing 170 pounds. He was last seen wearing a black sweatshirt with red drawstrings, blue jeans and black tennis shoes. Anyone with information should call the police department at 608-755-3100 or submit information anonymously through Janesville Area CrimeStoppers at stop janesvillecrime.com.